I have a field with the e-mail address in my form, when sending the form this should also be sent to this E-Masiladresse. Where can I set this? 1. Click the Emails button in the toolbar. 2. Select the notification and then click the Edit button. 3. Go to the Recipients tab and you'll see the Recipient Emails field. In this field, you can delete or add an email recipient. 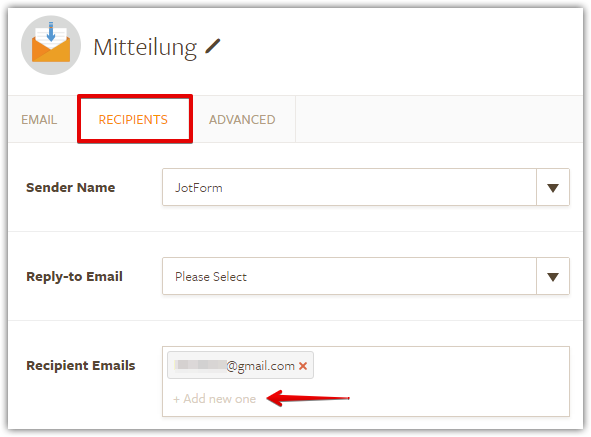 If you are referring to an auto-reply email wherein the user who completed the form will receive an email, then please refer to this user guide: https://www.jotform.com/help/26-Creating-a-Form-Autoresponder. I do not know the e-mail address, this is only entered when filling in the form! How can I now give this user the form on his e-mail! 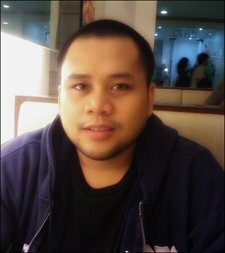 Please follow this guide to create an autoresponder email: https://www.jotform.com/help/26-Creating-a-Form-Autoresponder. The autoresponder will send email to the user who completed your form. You can also edit the autoresponder message in the Emails wizard. Keep in mind that you need an email address field in order for the autoresponder to work. The email field will be used as the email recipient of the autoresponder. If you need further assistance, please contact us again. Thank you.